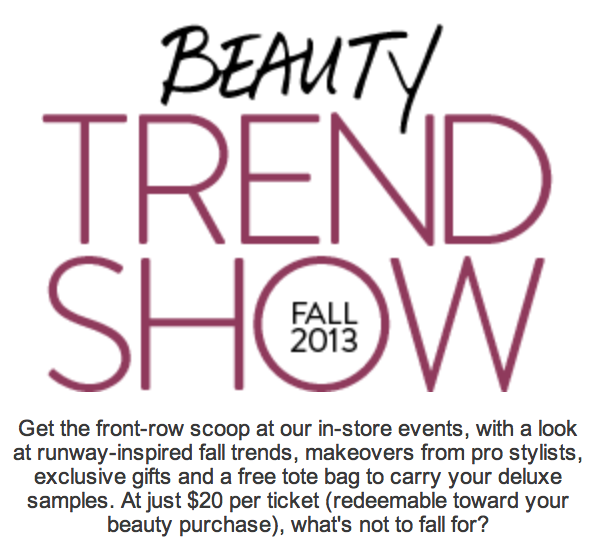 lola's secret beauty blog: The Nordstrom Trend Event in Arcadia on Saturday, October 5! The Nordstrom Trend Event in Arcadia on Saturday, October 5! 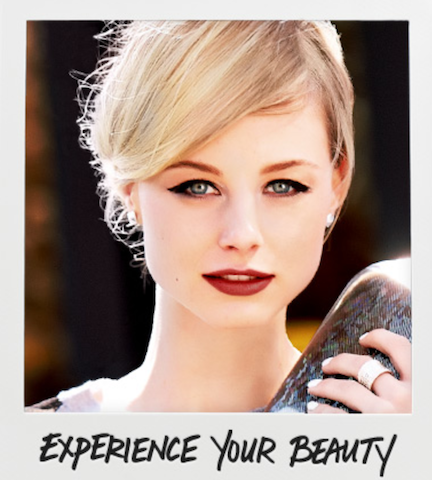 The Nordstrom Beauty Trend show this weekend at Nordstrom Santa Anita, 400 South Baldwin Avenue Arcadia, CA 91007 626.821.6363 on Saturday, Oct. 5th, 2013. · Free samples are available, so make sure to get there early! 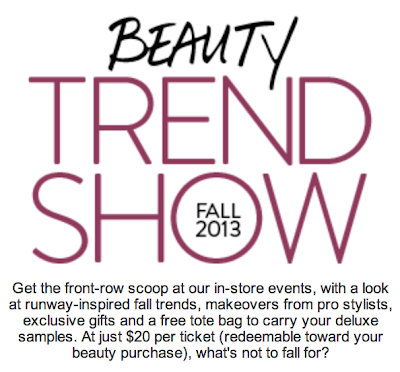 ￼￼￼￼￼This fall, join Nordstrom Beauty for the highly anticipated Nordstrom Beauty Trend Shows and Pretty Parties! At these events, see how to re-create our top coveted looks for fall and learn from industry experts the behind the scenes DIY tips used during New York Fashion Week. Grab your girlfriend and reserve a spot for this exciting event. You’ll see the newest of the new as Nordstrom Beauty and industry insiders from your favorite brands reveal fall’s beauty trends during a high-energy runway show. Live tweeting and exciting raffles will also take place. Following the show, get a free makeup and skincare consultation full of tips and tricks, and score an exclusive (and free!) Nordstrom tote bag – just for attending! The show kicks off at 8am in participating Nordstrom stores. Tickets are $20 and redeemable towards any beauty purchase on the day of the event. Join Nordstrom Beauty for exciting, one-on-one beauty time with trend-savvy beauty experts and industry insiders during this two-day event. Nordstrom Beauty will share the latest beauty tips and tricks while they pamper you with a complimentary makeup and skincare consultation. Get access to free samples and exclusive gifts with purchase (while supplies last). Admission is free – so don’t miss out! To RSVP for a Beauty Trend Show or Pretty Party in your area, just call or stop by your favorite Nordstrom Cosmetics counter! Can’t make it to the events? Live chat or call 1.800.7beauty to book a free online consultation with a Nordstrom Beauty Stylist or view our looks online at Nordstrom.com/beautytrendevents.